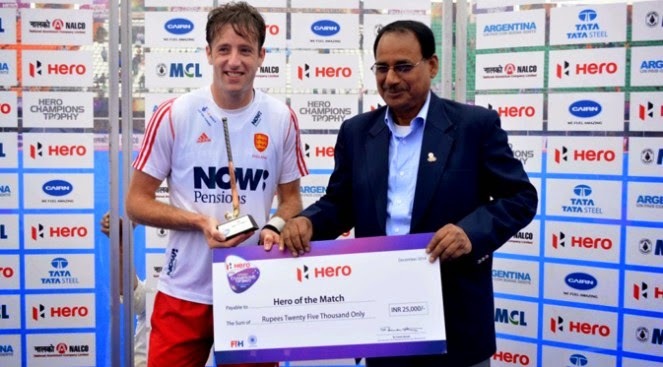 England and Belgium remain unbeaten in the Hero Men’s Champions Trophy 2014 after drawing 1-1 in their last Pool A match on Tuesday. However, England are Pool A winners having collected two more points than Belgium’s Red Lions who finished second. Belgium took the lead early on when Amaury Keusters was located unmarked in the circle by a clever Tanguy Cosyns pass. The forward unleashed a powerful backhand shot to beat George Pinner in the ninth minute.